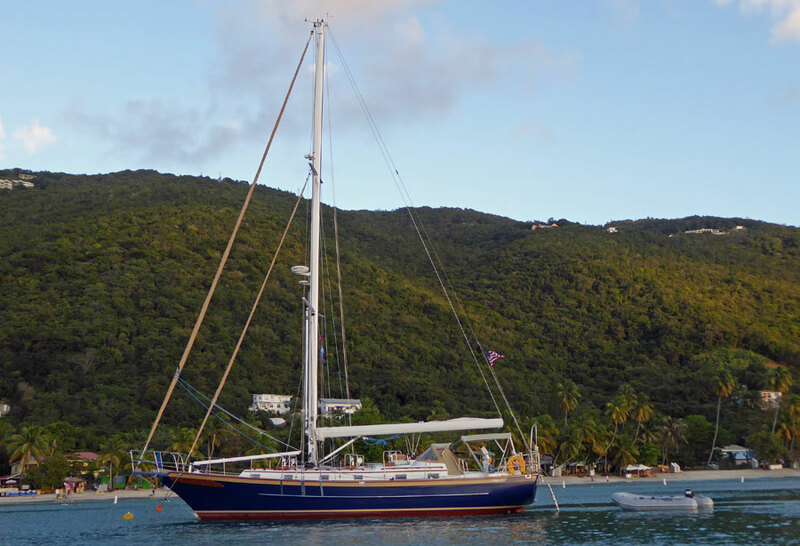 Welcome to this ever-growing gallery of some of the most popular cruising yachts between 45 and 50 feet (13.7m to 15.2m) long overall. 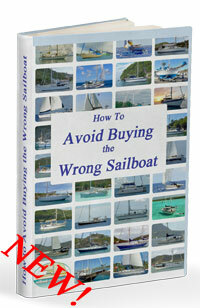 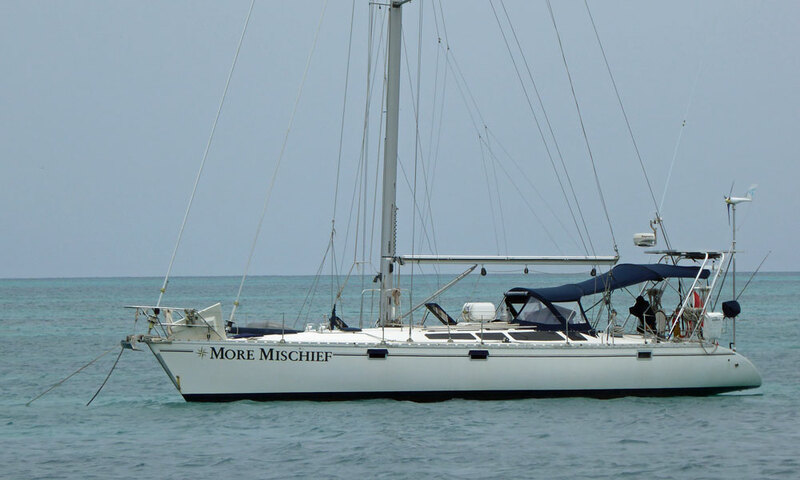 Offshore cruising boats of this length are probably the maximum size that most cruising couples can comfortably handle without taking on additional crew. 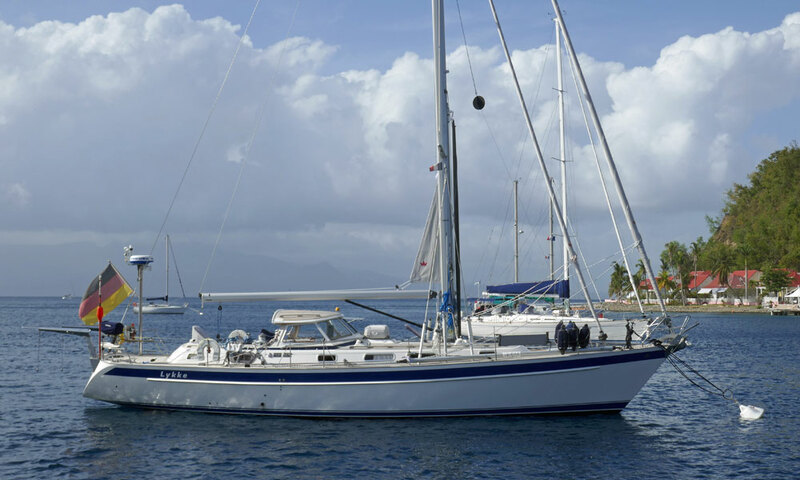 Even so, it's likely that powered sail handling devices - sheet and halyard winches, electric or hydraulic furling gears etc - will be necessary, all of which adds to the cost and complexity of the boat. 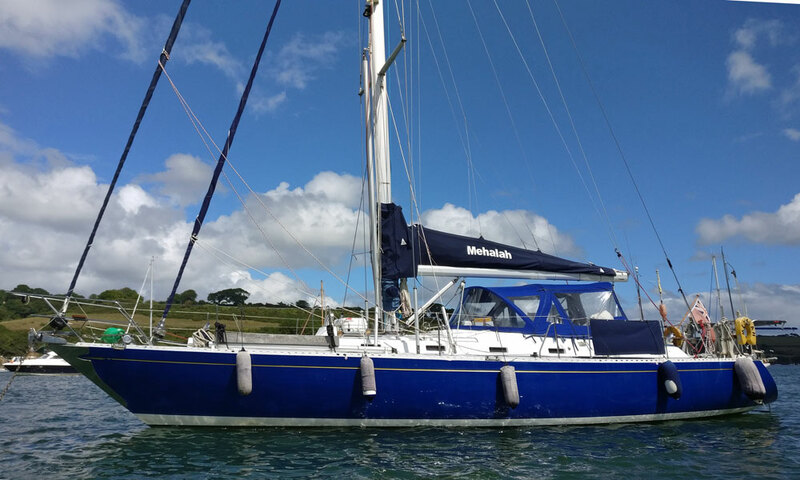 'Mehalah', a Stephens Custom 47 cutter in the Helford River, Cornwall, UK. 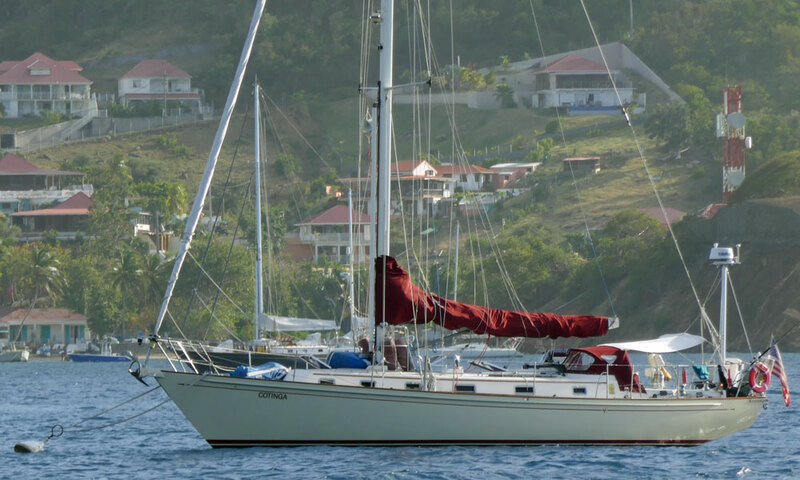 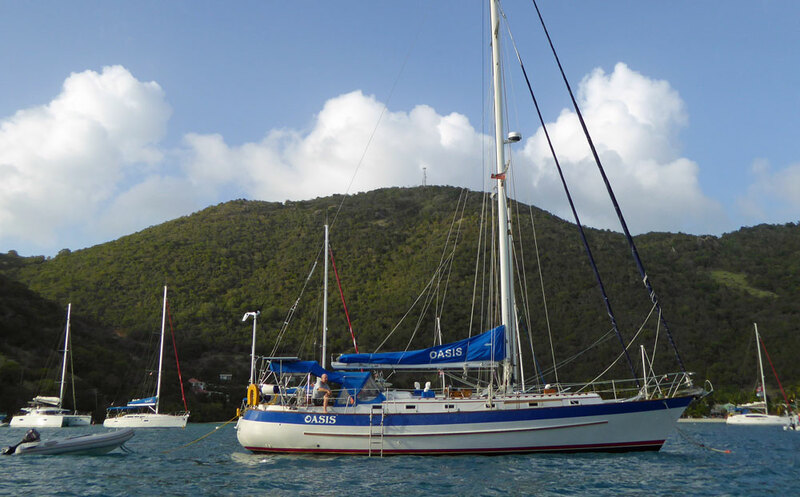 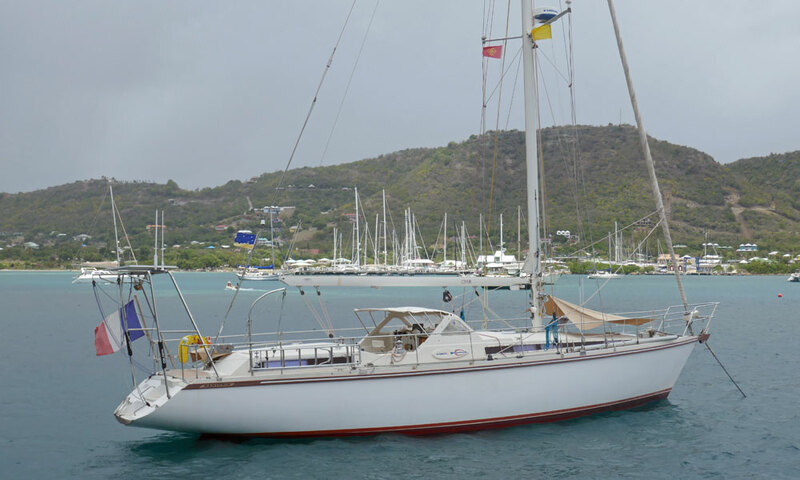 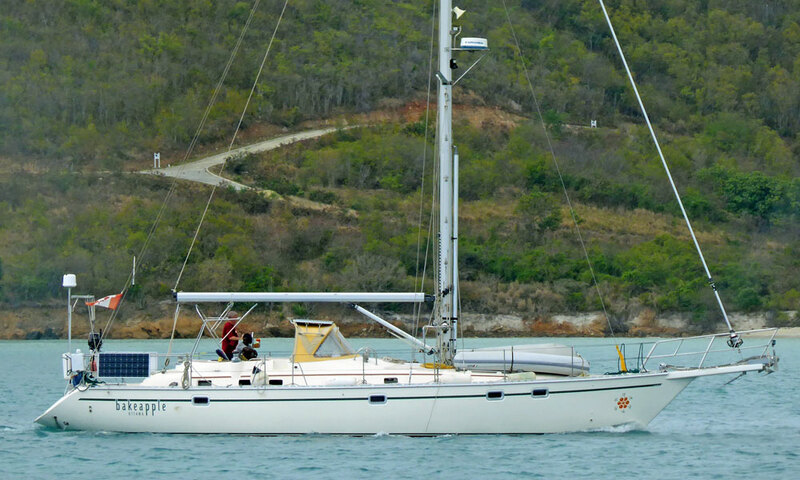 'Cham', an Amel Santorin Sloop anchored in Falmouth Harbour, Antigua. 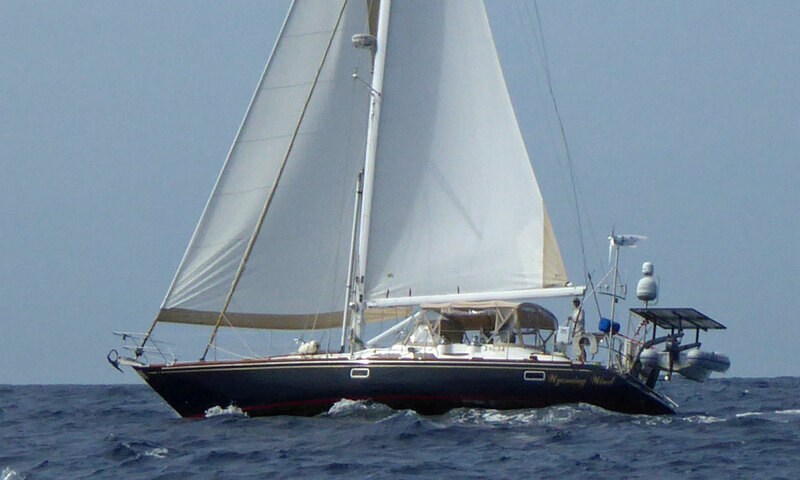 Amel also produced a ketch version of the Santorin. 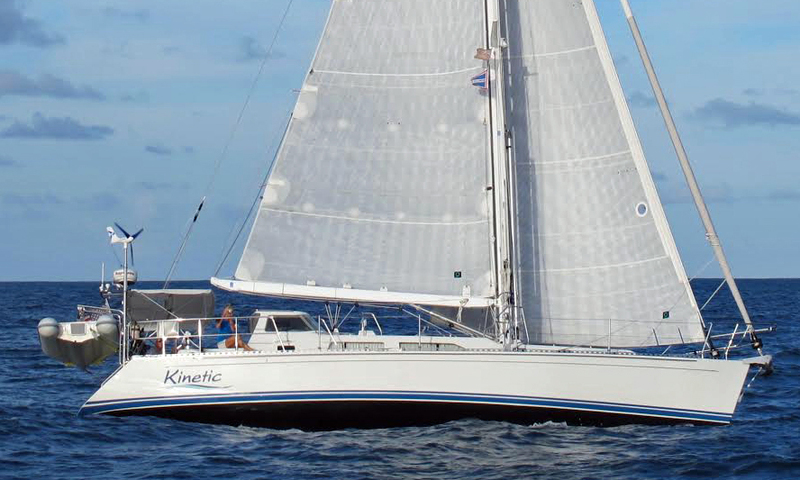 'Kinetic', an Outbound 46, sports a hard dodger and a Solent Rig. 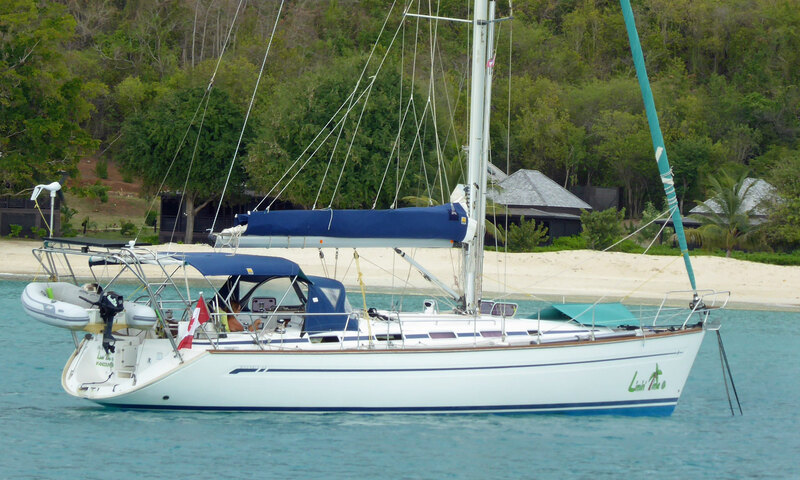 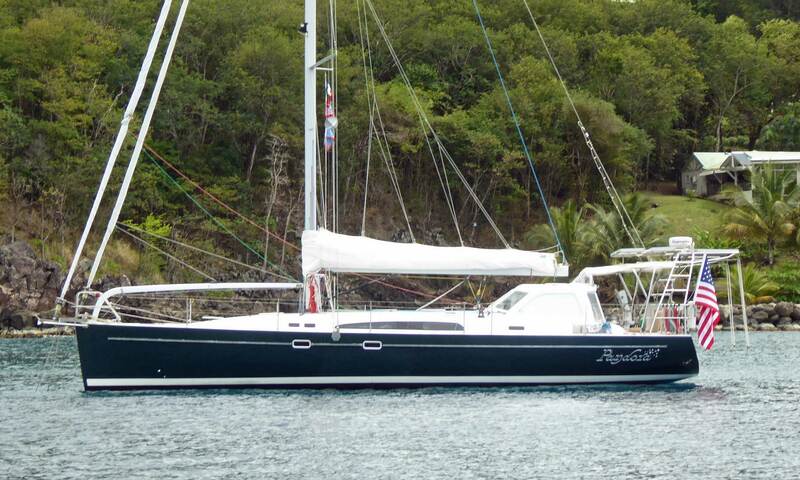 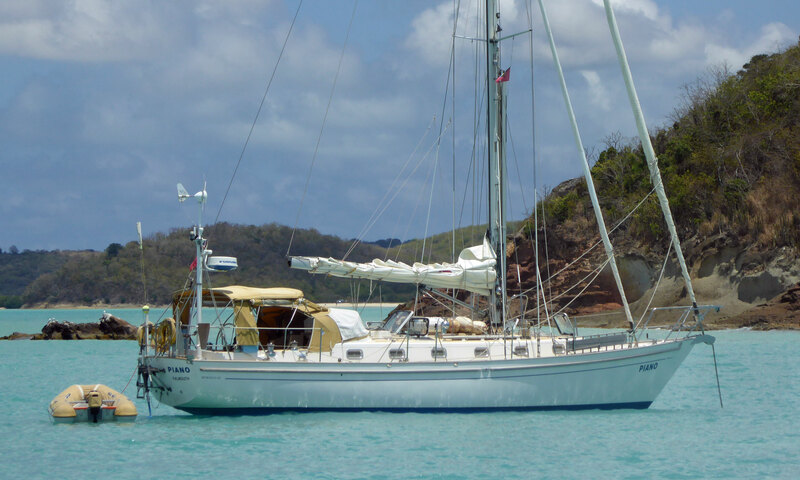 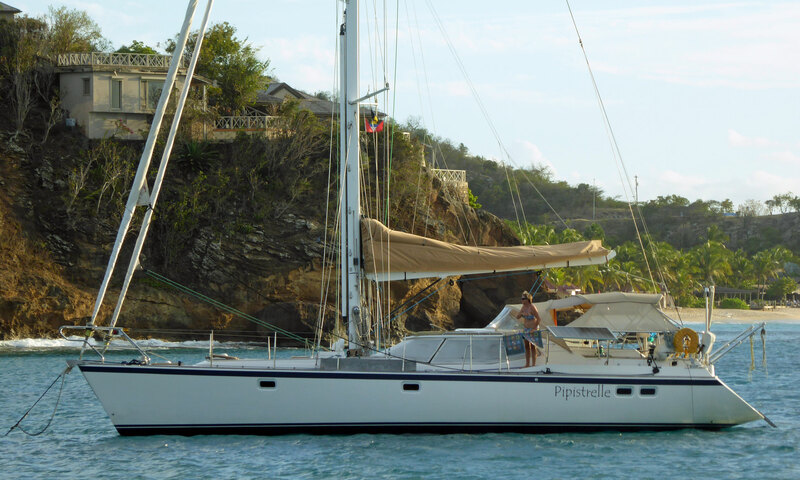 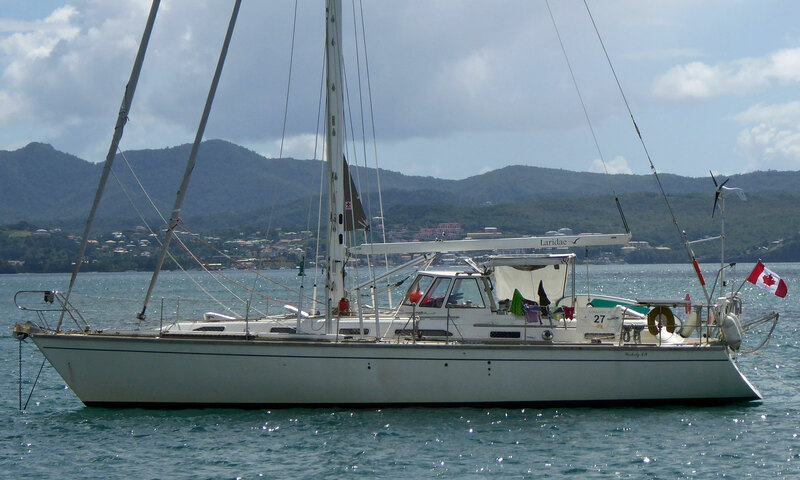 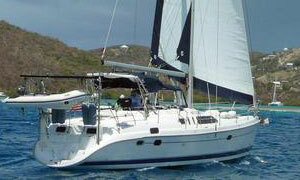 'Pipistrelle', a Wuaquiez 48 Pilot House Cruising Yacht at anchor in Deep Bay, Antigua, West Indies. 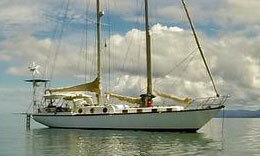 Rig Type:~ Masthead sloop, solent rigged. 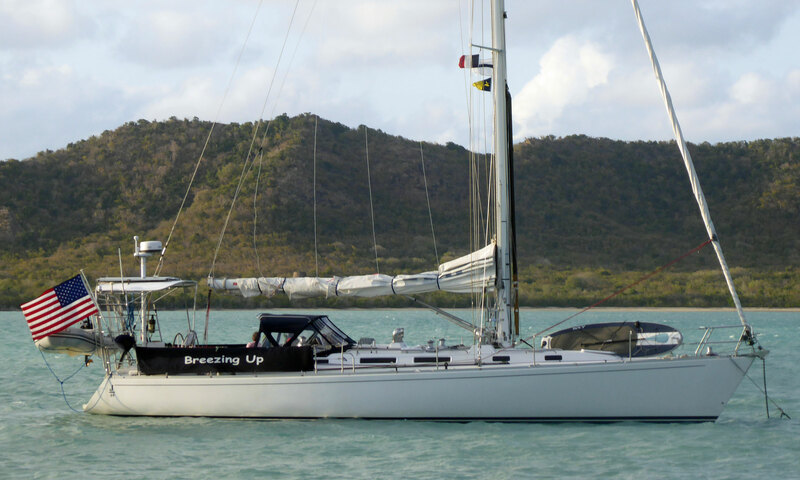 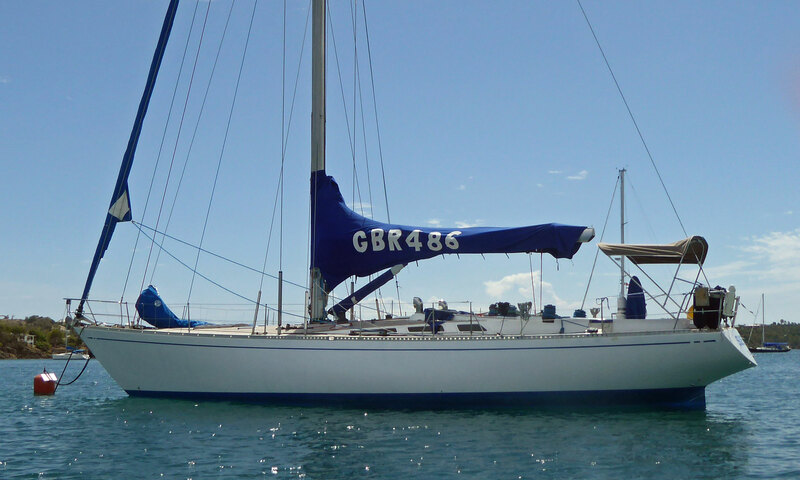 'Breezing Up', a light displacement J46 performance cruising yacht. 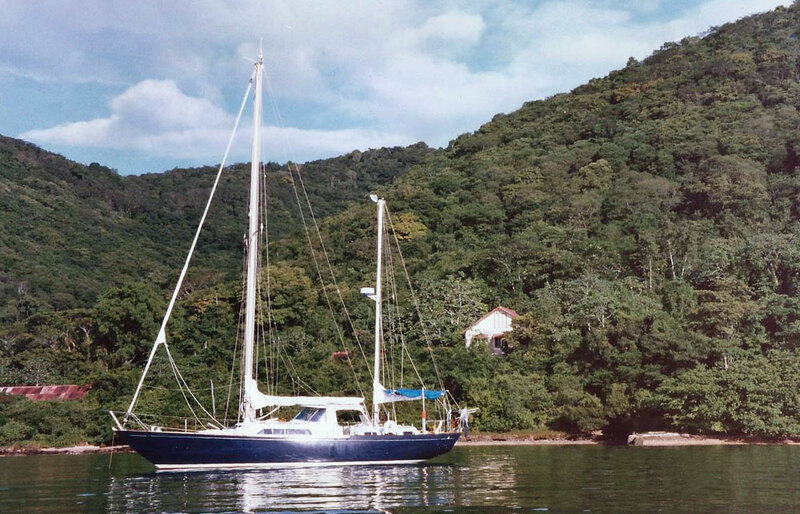 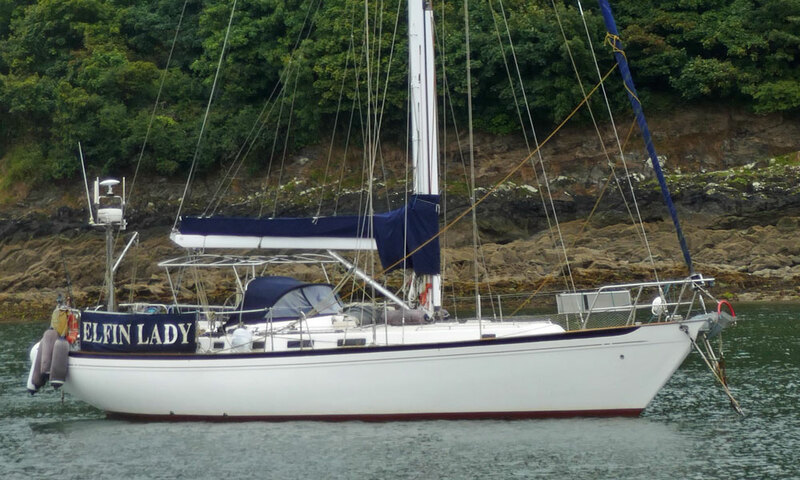 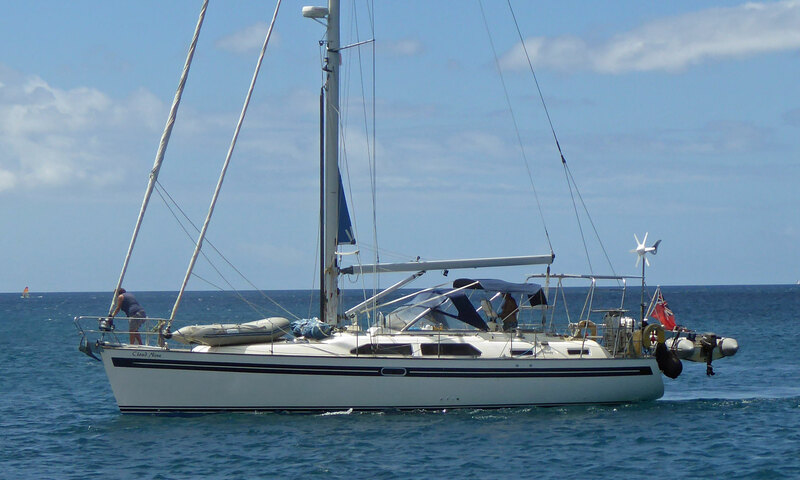 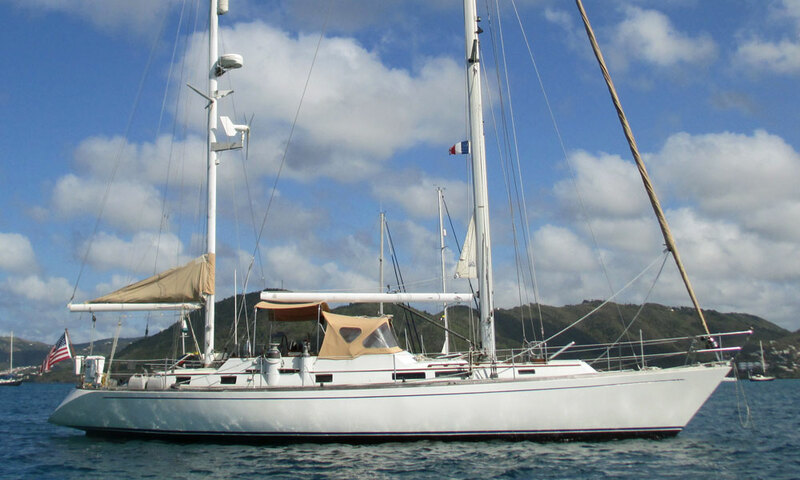 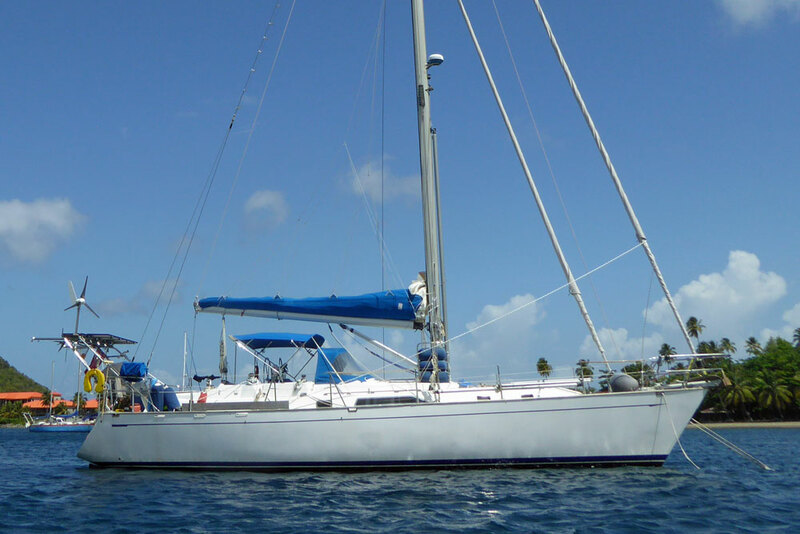 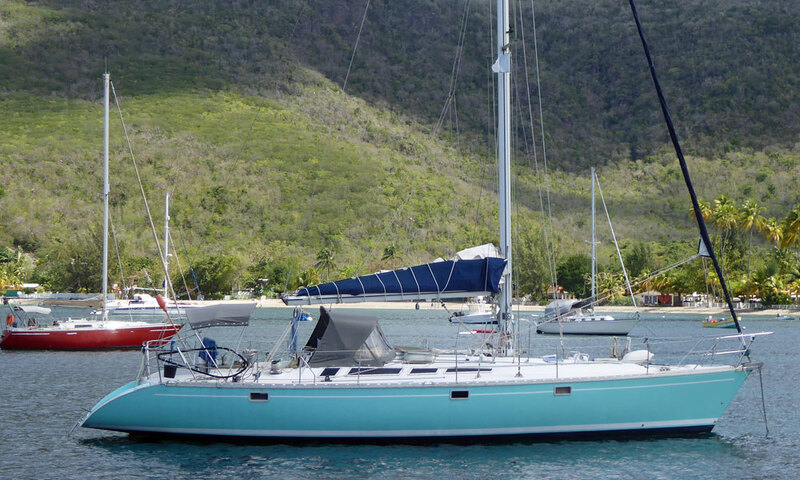 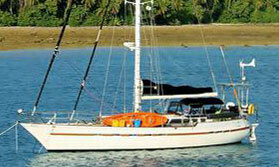 'Malkemi', a Malo 45 bluewater cruising yacht, fitted with a double-headsail solent rig. 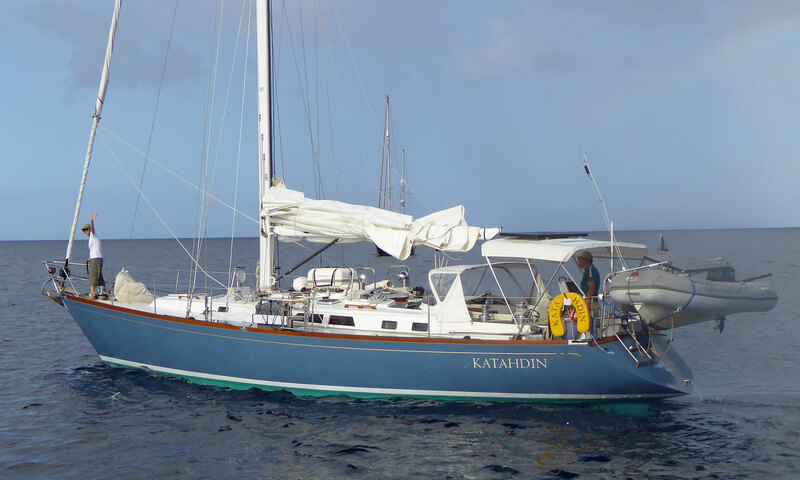 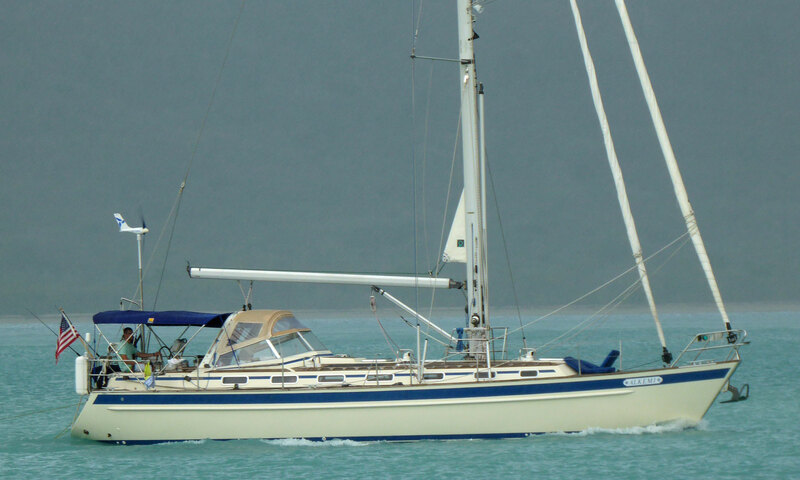 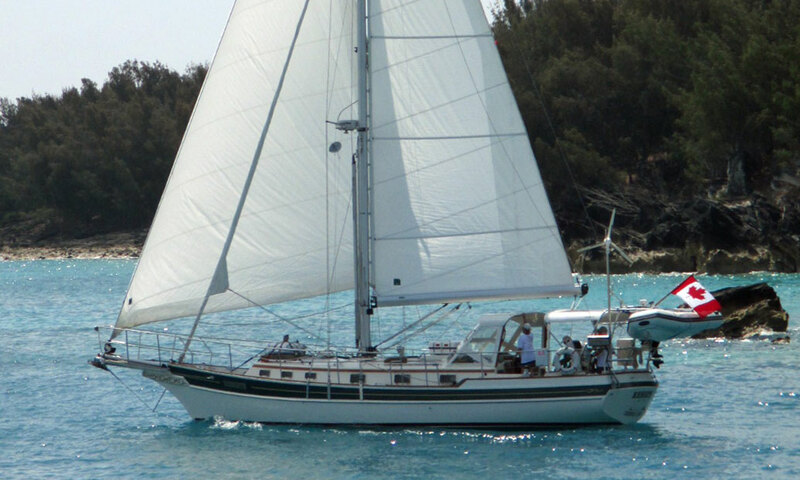 'Katahdin', a centreboard version of the Cambria 44 was the last one built. 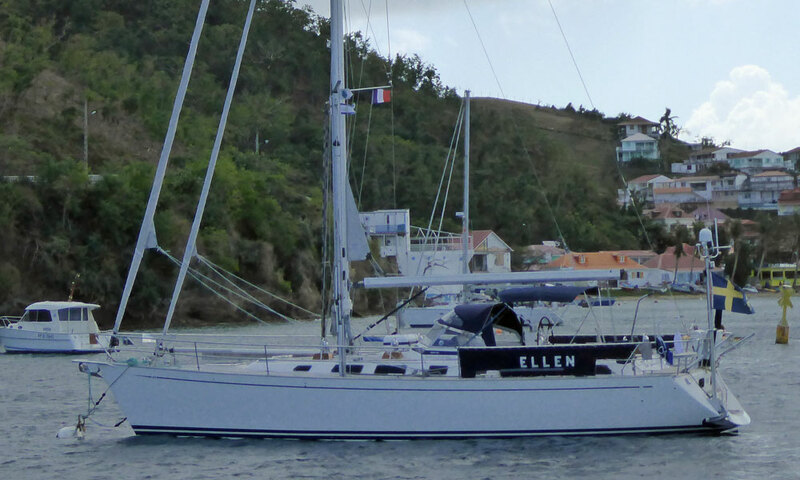 This is the centre-cockpit version. 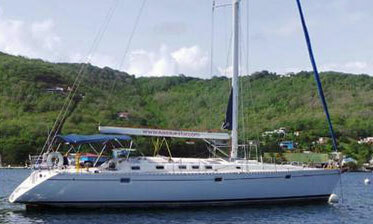 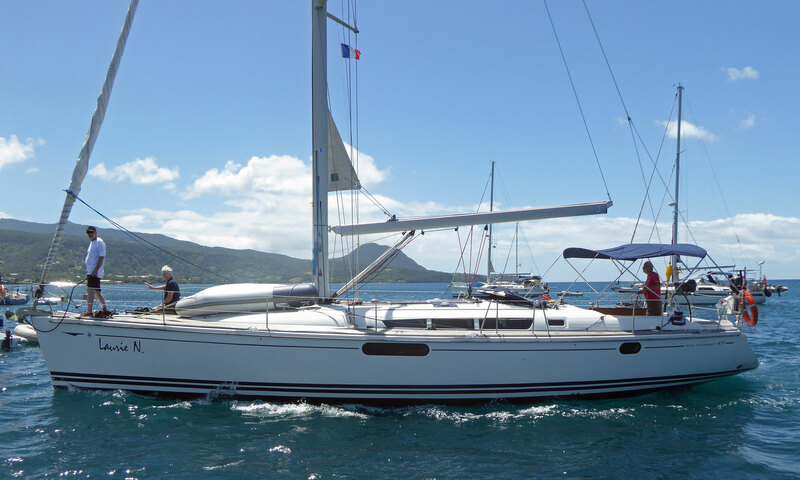 These cruising yachts are also available with a deck-saloon layout. 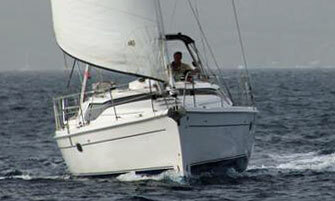 Waterline Length:~ 34'2" / 10'4"